Media reports claim that the European Union (EU) is taking into consideration the suspension of trade privileges given to numerous industries in Myanmar, including garments. The reason behind the said move could be the assumed Tatmadaw mayhem in Rakhine State because of which several garmenting jobs are at risk. Reportedly, Cecilia Malmström, EU Trade Commissioner, told European trade ministers in Austria that the EU is sending a delegation to Myanmar to decide whether to initiate a extraction process, which shall include a six-month review window for Myanmar. Furthermore, Malmström referred to the report of a United Nations Fact-Finding Mission, which underlined the “gravest crimes under international law” in Rakhine, as their reason behind reviewing the trade privileges. The garment manufacturing firms in the country believe that jamming Myanmar’s entrée to the Everything But Arms Act, which allows duty- and quota-free access to the European market under the Generalised Scheme of Preferences, would pose a serious threat to Myanmar’s garment manufacturing sector. Notably, in 2017, garments made up 72.2 percent of the € 1.56 billion worth of exports to Europe. Also, earnings from Europe have increased 10 times in the past 6 years since the restoration of the facility. 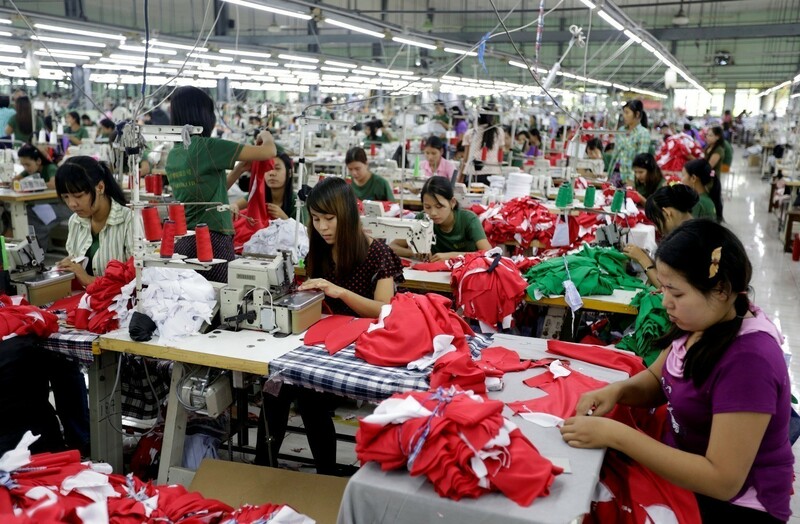 MGMA (Myanmar Garment Manufacturers Association) claim that the RMG sector has 450,000 employees in over 600 units, and if European trade privileges are inhibited, more than half of garment workers end up losing jobs.